An example of a hydraulic system is the movable shovel on a bulldozer. Pressurized fluid is transmitted back and forth over fluid transmission lines, forcing pistons back and forth through hydraulic cylinders. Oil seals are a variety of hydraulic cylinder seals, and they are necessary to help maintain fluid pressure and prevent contamination within hydraulic systems. Oils seals also help to prevent wear from friction, increasing the working lifespan of the systems in which they are installed and improving their efficiency. Oil seals of many shapes, sizes and compositions are available to suit the many different contexts in which they are used. Synthetic rubber seals are among the most common variety. Synthetic rubbers like Teflon are valued as oil seal materials because of their properties of elasticity, chemical and corrosion resistance, temperature resistance and their resiliency. Oil seals are so important worldwide that they are available in metric sizes; metric oil seals are available for use in hydraulic systems designed outside of the United States. Oil seals can come in a variety of designs, materials and sizes to fit every need. Oil seals can be fitted with a single or double lip. Double lip oil rings are designed to prevent corrosion and to keep out dirt and dust. The unwanted introduction of contaminants into a hydraulic system can cause inefficiency in that system and sometimes even failure. Failure of hydraulic systems can be catastrophic, especially in cases in which the system is employed for the movement of heavy objects or the bearing of heavy loads. In such cases, the failure of a hydraulic system could cause severe personal injury or death as well as expensive property damage as well as equipment loss. 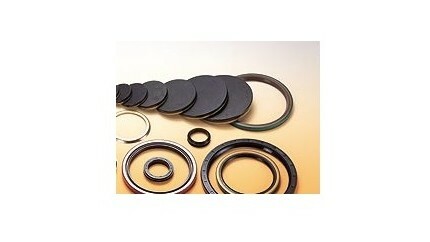 Oil seals are very important components for this reason. 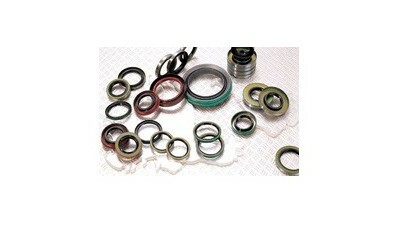 Some oil seals are spring-loaded to maintain contact between the seal lip and the shafts in which they are installed. Oil rings may be made out of a variety of materials; high speed shafts require special materials designed to withstand high heat, such as silicone, polyacrylate or fluoroelastomers. When carefully paired with their equipment and applications, oil seals can help ensure the long term effectiveness of a hydraulic system’s operation. Oil Seals Oil seals are rings made of various soft, non-metallic materials that are used to prevent leakage of liquids in hydraulic systems. A hydraulic system is a machine that uses pressurized hydraulic fluids to generate movement of equipment parts.